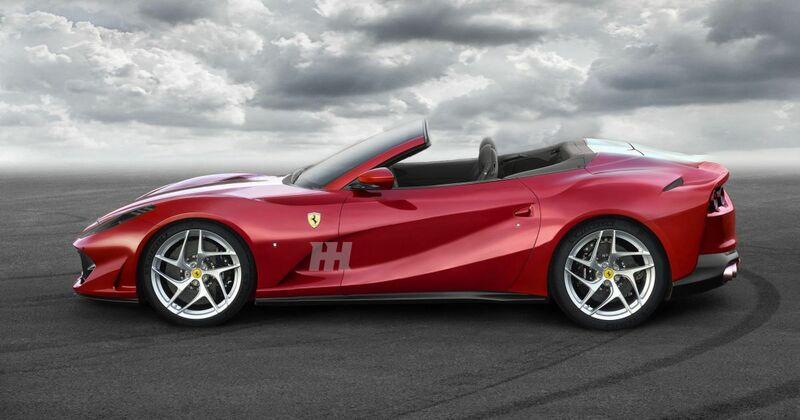 Ferrari is working on a convertible version of its 812 Superfast complete with an electric folding hard-top roof. The Italian brand has long refused to thus equip its flagship V12 super-GTs because of the double weight and centre of gravity penalty the design necessitates; that of the roof and mechanism itself and that of the extra chassis bracing needed to keep the structure stiff. Could it end up something like our render, perhaps? It also makes the rear end of a car infamously difficult to package in a beautiful way. Peugeot 307CC, we’re looking at you. Ferrari must have designed work-arounds for both the weight and the aesthetic hurdles. 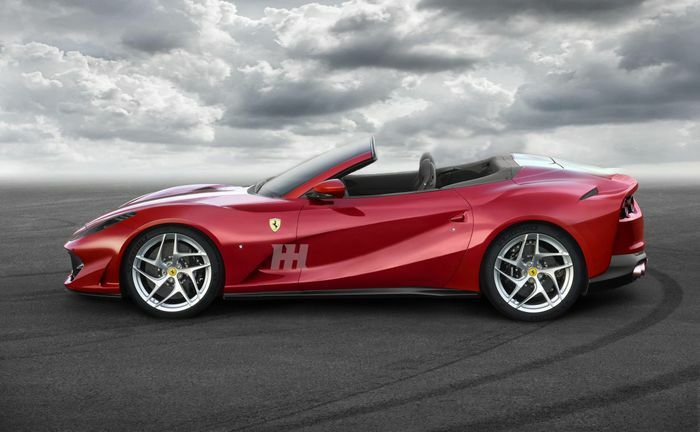 According to respected Ferrari expert Marcel Massini via the Ferrari Chat forum, a convertible 812 Superfast is indeed on the way, and with a full folding hard-top. At present, the only Ferrari to use the design is the less dynamically-focused Portofino grand tourer. 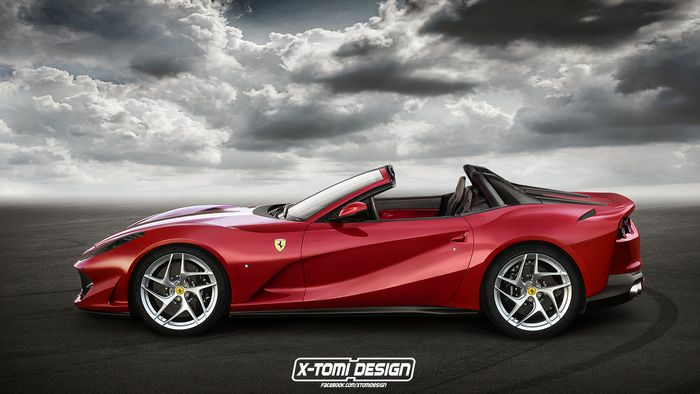 The Ferrari 812 Roadster/Aperta/Spider leaked? 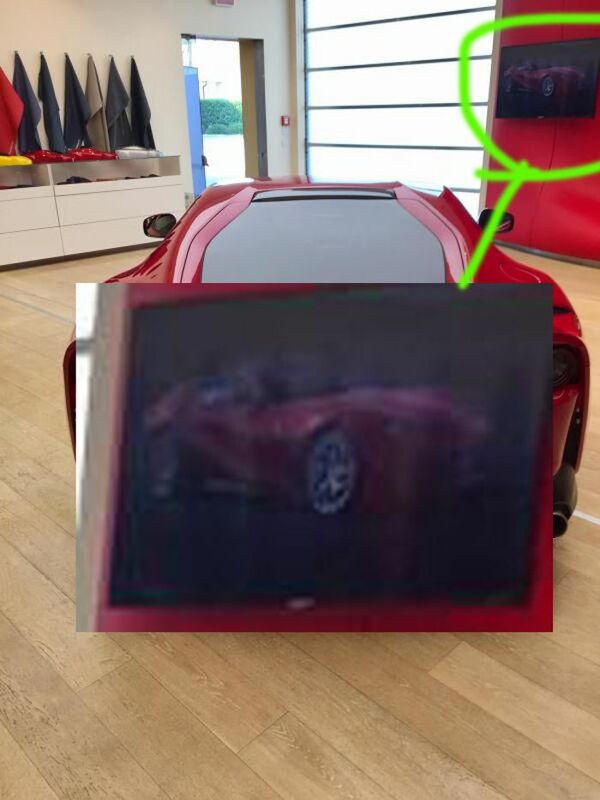 A noisy, pixelated, zoomed-in image has also surfaced, showing what appears to be an 812 with no roof. All we can say further at this stage is that the powertrain will most likely be shared with the hard-top 812. It uses a 6.5-litre normally-aspirated V12 with an ample 789bhp and 530lb ft. It sends power to the rear wheels and will clock 211mph after passing the 62mph mark in 2.9 seconds. The existing 812 Superfast is also just as fast around Ferrari’s Fiorano test track as the 488 Pista. Perhaps it’s even fast enough for Ferrari to overlook the extra weight this time.